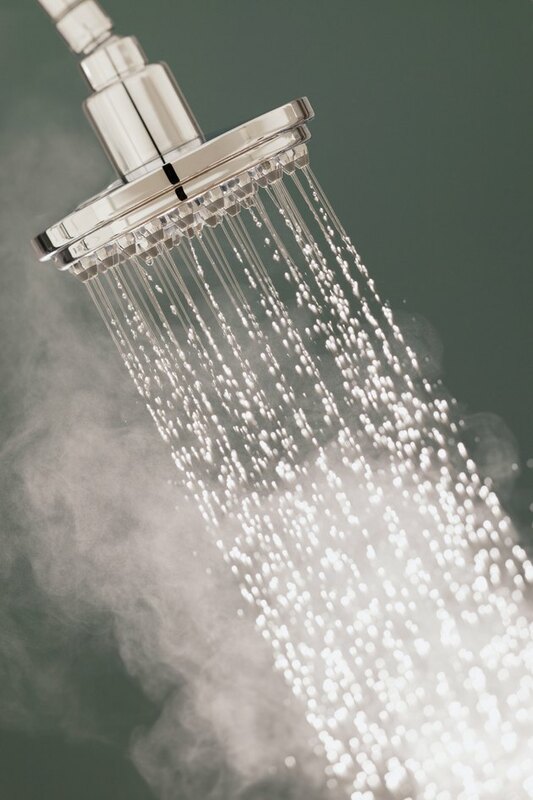 Symmons shower valves use a pressure balancing system to help prevent scalds from excessively hot water. The valve is balanced open by the pressure between the hot and cold water supply lines. If there is a loss of pressure in one of the lines, the balance is lost and the valve moves closed to limit the supply of water. If the water in your shower is too hot or cold, you can easily adjust a Symmons pressure balancing shower valve in just a few minutes. Adjust a Symmons pressure balancing shower valve to increase or decrease the water temperature. Place a rag over the tub drain to keep small pieces from being lost while you adjust the Symmons pressure balancing shower valve. Remove the retaining screw from the bottom of the shower handle using an Allen wrench. Pull the handle off the valve stem. Turn the dome cover behind the handle counterclockwise until you can remove it from the shower valve. Turn the screw behind the dome cover one turn counterclockwise with a flat screwdriver. Use caution to keep from removing the screw while the water supply valves are on. Slide the handle onto the valve stem. Turn the handle counterclockwise until you reach the desired maximum temperature. Pull the handle off the valve stem without turning it. Tighten the adjustment screw until it is snug. Place the handle on the valve stem and turn off the water. Remove the handle, place the dome cover on the shower valve and turn it clockwise until it locks onto the valve. Slide the handle onto the valve stem, insert the retaining screw and tighten it with an Allen wrench.